HOME > SPORTS > Could Barcelona's Ousmane Dembele Play His First Classico Next Month After Long Injury? Barcelona's coach Ernesto Valverde has cast doubts on reports that new signing Ousmane Dembele will be fit to play in the upcoming ' Classico' against current La Liga champions Real Madrid. Who do you think will win the upcoming El Classico game? Whether you're in the mood for football, gambling, or both, on sites like www.bestcasino.co.uk you can find safe operators to place your bet on without leaving the comfort of your own place. But before betting on Barca or Real please have a look at the information below, it might be useful to take your decision. Dembele, 20, is Barcelona's summer record signing. The France international joined the Spanish giants from Borussia Dortmund in August for a fee of $124.70 million. Dembele's performance in his first two games as a Barcelona player was impressive. However, he suffered a hamstring injury during a game against Getafe in September. Dembele's injury, which Barca officials described as "serious," required surgery. The specialist who operated on Dembele recently said he was impressed by the player's speedy recovery. 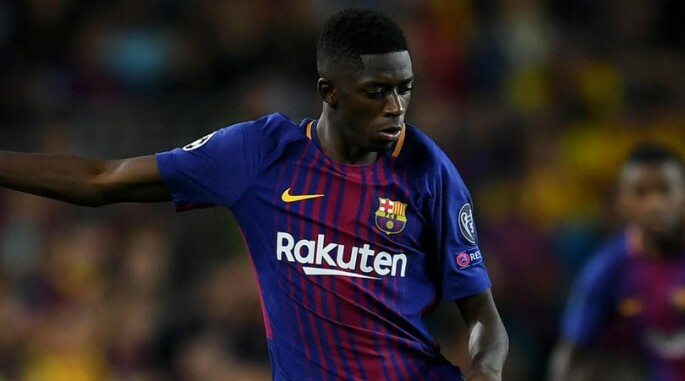 He postulated that at this recovery rate, Dembele might be fit to play in the first Classico of the season against Real Madrid at the Santiago Bernabeu on December 23. However. Valverde said this week that Barca would not rush Dembele's recovery. The coach insisted that it will be difficult for Dembele to play in the match against Real Madrid since Barca does not want to take any risks regarding his injury, Eurosport reported. "I don't want to say it's impossible, but it looks difficult to me for him to be at the Classico," Valverde said. "It was a serious injury, he has been put for a long time and if we need to wait another week (for him to recover fully), then we will. We don't want to take any risks, especially after being without him for so long," Valverde said on Tuesday ahead of Barca's Copa Del Rey game against Real Murcia. Valverde went on to add that it is a good sign that Dembele is itching to get back on the pitch. However, he stressed that sometimes it is better to wait than to rush. "It's good that he is desperate to return because it is the player that is pushing to play, but sometimes it's better to put the brakes on a player than push him, and we need to be cautious," Valverde added. In Dembele's absence, Barcelona has been doing well in both domestic and international competitions. The Catalan team is currently leading the La Liga table by four points over second-place Valencia. Barca is also eight points clear of rivals Real Madrid and Atletico Madrid. In the Champions League, Barca topped their group to qualify for the next round of the competition.